The next big thing in fashion accessories is actually quite small. 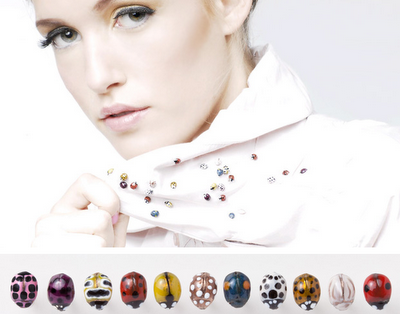 In November 2011, science-inspired fashion designer, Diana Eng, debuted her line of stunning ladybug pins made in the NYC jewelry district and hand painted by Eng herself. No surprise coming from Eng...the tiny gems are actually modeled after 11 real species of Coccinellidae (aka ladybugs). Insects have long been a favorite ornament on many a fashionista so Eng's pins are a welcome addition.